Molds are organisms which are neither plant nor animal. They are part of the fungi kingdom. Unlike plants, molds do not get their energy from the sun through photosynthesis. In fact mold cannot grow under the sun's ultraviolet light. Molds also digest or "eat" the material they are growing on. 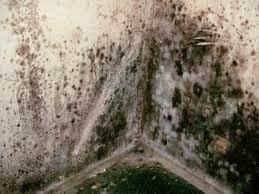 The role of mold is to break down decaying organic matter such as dead plants, leaves of dead animals. 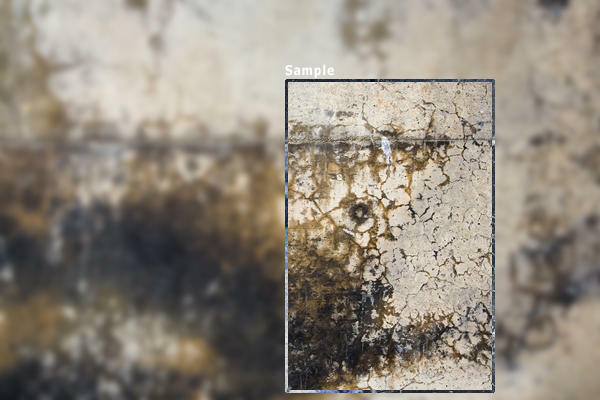 Mold problems can not develop in house unless there is a moisture problem. The moisture accumulation might be caused through humidity, condensation, or water intrusion from leaks, spills, floods, etc. Most molds only require suitable materials to be wet for 24-48 hours before they can grow. Besides oxygen and organic materials containing carbon to provide nutrients, the other main requirement mold needs to grow is moisture. 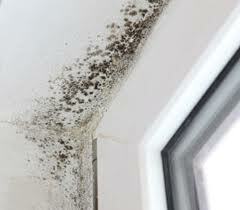 You can find mold growing almost anywhere provided there is enough of a moisture source for it. 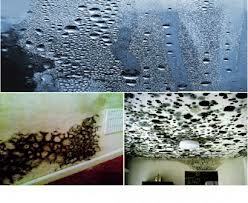 Moisture is really the key cause of mold growth since the other conditions on the list below are always going to be present in homes. DO NOT DO IT TO YOUR FAMILY !!! KILL MOULD NOW!!! People with weakened immune systems, allergies, severe asthma, chronic, obstructive, or allergic lung diseases are more susceptible to these symptoms and other serious health effects. 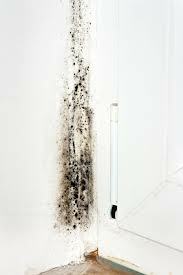 If there are moisture problems at your property you must find the way to Control Black Mould as it will affect your health. 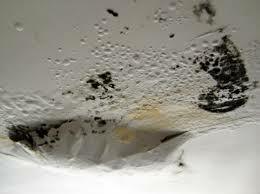 Mould growing on the ceiling.